A FIFA feasibility study has concluded the 2022 World Cup can expand to 48 teams by using at least one of Qatar's neighbors as an additional host, and says there is a low legal risk to changing the format and an additional $400 million in revenue could be generated. The Associated Press obtained a copy of the 83-page report on Monday which assesses the political, logistical and legal issues surrounding adding 16 teams — a significant change to the format more than eight years after Qatar won the hosting rights. The report was prepared by the governing body so its FIFA Council can agree in principle on expanding the tournament at a meeting in Miami on Friday. A final decision would come in June. 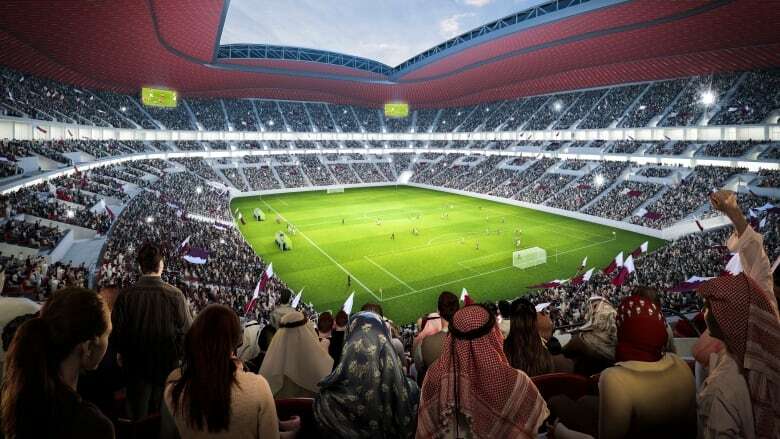 The study identified stadiums in Bahrain, Kuwait, Oman, Saudi Arabia and the United Arab Emirates that could be used but said Qatar would have to approve who it partnered with. With logistics already challenged by the existing plan to play 64 games in eight stadiums spread over a 30-mile radius in Qatar, FIFA said two-to-four additional venues are required in the region "with one or more" nation. The study highlights that venues with at least 40,000 seats — for games up to the quarter-finals — were demanded of 2026 World Cup bidders but doesn't come to a conclusion on minimum capacities for 2022. While eight potential additional stadiums are identified in the region in the FIFA study, only two in the UAE, one in Saudi Arabia and one in Kuwait meet the 2026 requirements.